If Beto O’Rourke is indeed not running for Senate, Rep. Joaquin Castro may step up to do it. Democratic presidential candidate Julián Castro told the Associated Press on Thursday that his twin brother, U.S. Rep. Joaquin Castro, D-San Antonio, is considering challenging U.S. Sen. John Cornyn, R-Texas, for the U.S. Senate in 2020. “He’s considering that, but he really has not made a decision about whether he’s going to do that,” Castro said while on the presidential campaign trail in Las Vegas. A Joaquin Castro Senate candidacy would be an answered prayer for Texas Democrats amid the expectation that former U.S. Rep. Beto O’Rourke of El Paso, who narrowly lost a Senate challenge to U.S. Sen. Ted Cruz in November, has decided to pass on challenging Cornyn and may soon join Julián Castro as a candidate for the Democratic nomination for president. Julián Castro’s dropping his brother’s name into the race also comes the same week that Joaquin’s promising congressional career — one reason he chose not to run for Senate in 2016 — truly delivered on its promise, with Castro leading the successful effort by House Democrats to pass a resolution he drafted to block President Trump’s emergency declaration, which Trump issued to secure border wall funds that Congress has denied him. “This is the most consequential vote we will take in a generation on the balance of powers between the legislative and executive branches of government,” Castro said before the House voted Tuesday 245 to 182 in favor of the resolution. The resolution still has to pass the Senate, which is possible, and survive a certain presidential veto, which is almost certainly beyond reach. But it has already succeeded as an effective political response to the president. The Castro twins have pursued parallel political careers, but Julián Castro, born a minute earlier, has been first among equals, serving as mayor of San Antonio and as a member of President Barack Obama’s Cabinet as secretary of Housing and Urban Development. He delivered the keynote address at the 2012 Democratic National Convention, was considered for vice president by Hillary Clinton in 2016, has written a memoir, and is now running for president while his twin brother remains in Congress. But in the less than two months since Julián Castro launched his bid for president, it is Joaquin who has had the higher political profile, punctuated by this week’s moment of triumph. He was elected chairman of the Congressional Hispanic Caucus in the new Congress, and was elected vice chair of the House Foreign Affairs Committee, as well as serving on the Education and Labor and House Intelligence committees On Homeland Security. He has been integrally involved in the investigation into Russian meddling in the 2016 presidential campaign and any potential Russian collusion by Trump and his campaign, and a frequent cable news presence. As of this writing we still don’t have direct-from-Beto’s-mouth confirmation of his plans for 2020, but this seems like a decent sign that Beto is truly not a candidate for Senate next year. Which is a shame, in my opinion, but it’s his choice to make. As for Joaquin, he’s always been high on my list, but I remain skeptical that he will give up a very good gig in the Democratic-majority House for at best a coin flip for Senate. 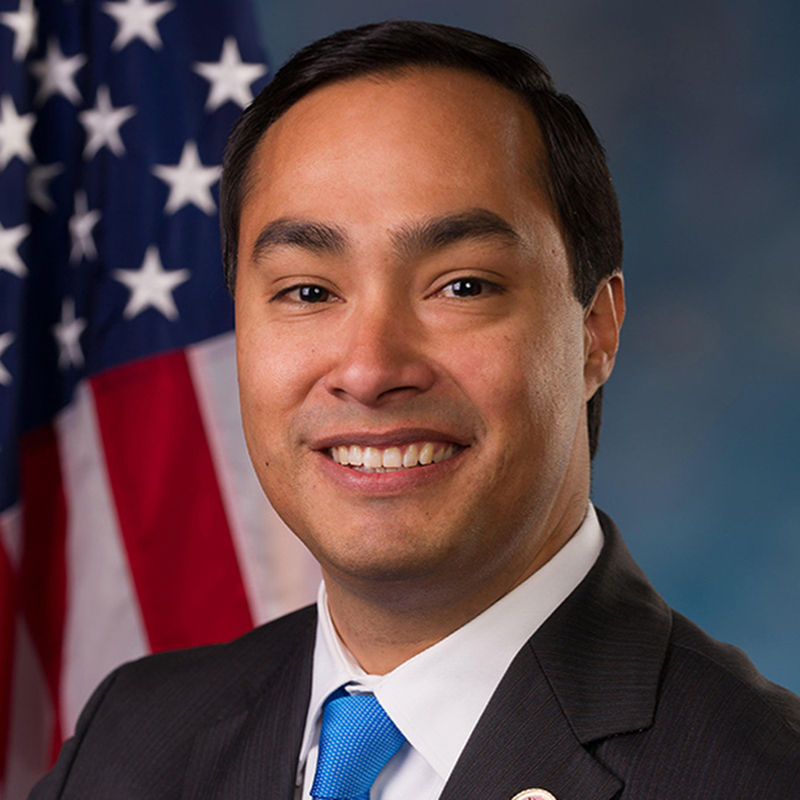 Obviously, I could be wrong about that – I’m not Joaquin Castro (spoiler alert), I don’t know what his risk profile and ambition levels are. If he does run, I think that’s a good sign that he thinks he can win, though how much of that is irrational exuberance and how much is a cold, hard assessment of the political landscape and strategic options is anyone’s guess. For certain, the fact that it even makes sense for him to publicly think about it is a clear indicator that Texas is being viewed as an opportunity for Dems next year. He may not rake in $80 million, but Joaquin Castro will have no trouble raising money if he hops in. There are other potential candidates out there – MJ Hegar, Kim Olson, Wendy Davis, probably more though those are the most prominent ones to make noise about it. There’s a good case to be made that Dems should want a female candidate to oppose Cornyn. I feel confident saying that Beto and Joaquin are the first two in line, and if either of them says they’re in they will almost certainly have the nomination with at most token opposition. But one of them has to say they’re in first. The Trib has more. The calendar just turned to 2019, but the 2020 race for Congressional seats in Texas is already on. A few days after Christmas, San Antonio resident Liz Wahl, 33, a former cable television news anchor, filed papers in Washington, D.C. to run in the 23rd Congressional District held now by U.S. Rep. Will Hurd, R-Helotes. Her filing came just 37 days after Hurd was declared the winner in his re-election by just 926 votes over Air Force veteran Gina Ortiz Jones. Jones told supporters in late December that she is also “very likely” to run again in 2020 for the seat. That story makes Wahl seem like some boring nobody. Turns out, she’s a lot more interesting than that. Former RT anchor Liz Wahl announced Thursday that she is planning to run as a Democrat against Texas Rep. Will Hurd (R), who won reelection in November to a third term. Wahl made headlines in 2014 when she quit her hosting job at the Russian-owned news network on air, while denouncing Russia’s involvement in Crimea, which voted to secede from Ukraine and is currently occupied by Russian-aligned forces. “I cannot be part of a network funded by the Russian government that whitewashes the actions of Putin. I’m proud to be an American and believe in disseminating the truth, and that is why, after this newscast, I’m resigning,” Wahl said during a March broadcast that year. The news network, which was forced to register in 2017 as a foreign agent, denounced her resignation at the time as a PR stunt. Definitely not what I had envisioned when I read “former cable TV new anchor”. Wahl’s Facebook page is here, and it includes a link to this Crowdpac post she wrote explaining her motivation for running. I feel confident saying that Wahl will have company in the primary if she does run. Getting an early start, and having such a distinctive background, will help her stand out if she follow through. Happy New Year! This year, my resolution is a little bigger than usual. I’m exploring a run for the Democratic primary in Texas’ 2nd Congressional District (Houston, Texas). The primary is next spring, but fundraising is a huge hurdle, so I have to start now. I’m a Navy veteran – I served on active duty for five years after college and then for six years in the Reserves. I just hung up my uniform for good last April due to health issues (some related to my time in the service, some not). I’m also a teacher and a single mom, and I’ve seen just how desperately we need ethical leadership in DC to serve as good role models. Before 2016, I tried to stay out of politics, especially since as a member of the military I viewed my role as necessarily nonpartisan (at least in public life). But now I feel that I have to do something, and my entire career of serving my country and my community has led me to this point. In Houston, we have a chance to flip some more House seats in 2020, and my district will be a particularly tough race (against Dan Crenshaw) in the general election. It’s going to be a long two years – but it starts now! Elisa is a friend of mine and a fellow member of the Rice MOB. She had reached out to me a couple of weeks ago, so I knew she was thinking about this. 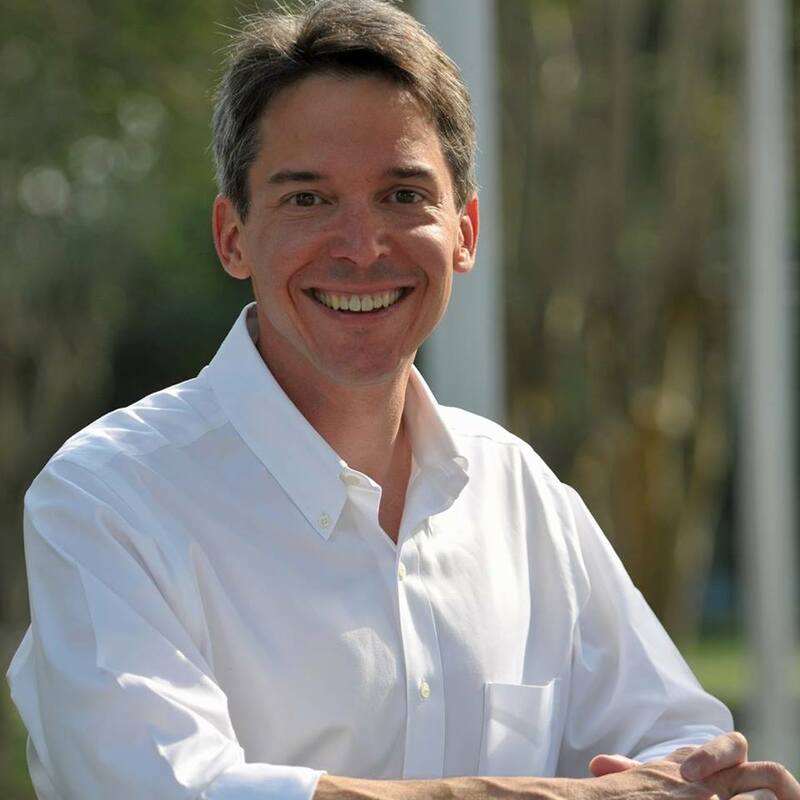 Todd Litton is still out there, and CD02 will be an attractive target for others in Harris County, so don’t be surprised to hear other names along the way. But as above, and as I’ve been saying, if this is something you’re thinking about, there’s no reason not to start as soon as possible. The election may be a log way off, but the filing period begins this November, and if 2020 is anything like 2018, you’re going to see a lot of fundraising activity happen well before then. Don’t get left behind. And just so we’re clear, incumbents are going to feel the same pressures. Shortly after participating in the official group swearing-in for House members, [Rep. Colin] Allred got down to business and voted for Nancy Pelosi as House speaker. That’s all it took for the National Republican Congressional Committee to come after him with one of its first paid campaign ads of the 2020 election cycle. The NRCC targeted 15 new House members with the ads, including Allred and fellow Texan Lizzie Fletcher, who knocked off longtime Houston-area Republican John Culberson in a district that, like Allred’s, voted for Hillary Clinton over Donald Trump despite a long history of favoring Republicans. I don’t expect the usual misogynistic squawking about Nancy Pelosi will be more effective than it was in 2018, though of course that depends on how well this Congress follows through on its promises. The other team is still out there making noise about every little thing, though. Keep your eye on the ball, and remember that the offseason ain’t what it used to be. Close races one year fuel speculation about the next. Much of the immediate speculation about 2020 in Texas has centered on O’Rourke, who was being discussed as a potential presidential candidate even before he reached the finish line in the Senate race. While running against Cruz, he denied interest in a White House bid. Since then, he has not said what he plans to do next beyond spending more time with his family and then starting to think about what he learned from his Senate campaign. But that has not stopped the 2020 drumbeat surrounding him. A poll released last week pegged him as Democratic voters’ No. 3 pick among possible contenders, and a cryptic blog post Thursday about running — a morning jog, that is — stirred speculation anew. If O’Rourke runs for president, he would have to contend with another Texan who has been preparing for a likely White House bid for nearly two years: Julían Castro, the former U.S. housing secretary and San Antonio mayor. People close to Castro have been saying a O’Rourke run would not change his plans, a point Castro himself made Friday to the Associated Press. Castro, who said last month he is “likely” to make a White House bid, intends to make an announcement about his plans in early 2019. Instead of running for president in 2020, some Texas Democrats would like O’Rourke to take on U.S. Sen. John Cornyn, R-Texas, who will be at the top of the ballot in two years. But privately, O’Rourke has not expressed interest in challenging Cornyn, according to his inner circle. Then there is MJ Hegar, the former military pilot who gained a national fanbase taking on U.S. Rep. John Carter, R-Round Rock, and finished just 3 points behind him. In a post-election interview, she noted that even her most loyal supporters told her from the start that it would be a “two-cycle race” to win the seat. Dems will also have a chance to reclaim SD19, which now ranks as the one and only pickup the Republicans had this cycle. There really aren’t any other close Senate districts on the ballot in 2020 – the closest would be SDs 11 (Larry Taylor) and 12 (Jane Nelson), as they are the only ones where Trump got less than 60%. I’ll be interested to see what their numbers look like from this year, and I will be banging the drum for a good candidate to run in SD11, but it’s fair to say both of these would be a stretch. The first order of business is figuring out who wants to run for US Senate – if Beto wants to try again, it’ll be his, and if not there ought to be some spirited jockeying for the “consensus” position. Texas Leftist suggested in my comments that Kim Olson might run for the Railroad Commission, which is the one other non-judicial statewide race on the ballot. 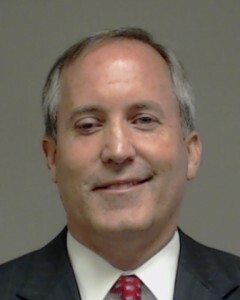 (With the caveat that if Ken Paxton is forced to resign at some point, the replacement that Greg Abbott names might have to be there as well, depending on the timing. Imagine that for a minute.) I like that people are talking about the Congressional seats that are still available – the early start that a lot of our candidates had in this cycle gave them a leg up on fundraising. And on it goes from there. The other thing that is encouraging about all this is that we’ve had cycles – even this one, for some races – where the question wasn’t who will run for thus-and-such seat, but will anyone run for it? I will say that we will need to make sure that if any quality candidates who sign up for a statewide race get gadfly/perennial candidate primary opponents, we will all need to step it up in the primaries to make sure they don’t get Grady Yarbroughed or Jim Hoganed. Democrats have finally gotten to the point of being taken seriously. Let’s not screw that up just yet. Good long read from the Trib about the Senate race, which they published after I was well into my county vote analysis. There’s too much to summarize here, but I want to focus on a couple of points. Organizationally, O’Rourke was on his own. Win or lose, he seemed determined to look at how Democrats had run statewide campaigns in the past and, as often as possible, do the opposite of that. 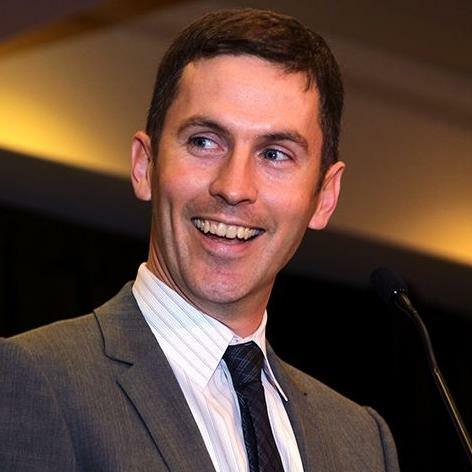 O’Rourke’s longtime chief of staff, David Wysong, left the congressman’s House office and took the lead on campaign strategy in Austin. 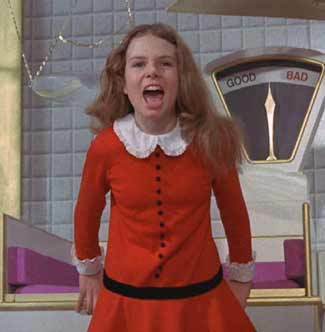 Back in El Paso, O’Rourke chose a longtime friend and political novice, Jody Casey, to make the trains run on time as campaign manager. Until last year, she worked in sales at General Electric. Early on, O’Rourke defied the conventional wisdom in Washington and Austin over how to run a modern Senate campaign. He vowed to not hire a pollster or rely on consultants. “Since 1988, when Lloyd Bentsen won re-election to the Senate, Democrats have spent close to a billion dollars on consultants and pollsters and experts and campaign wizards and have performed terribly,” O’Rourke told the Tribune on the eve of his campaign kick-off in March 2017. Consultant fees on U.S. Senate races – particularly ones in states the size of Texas – can translate into multi-million dollar paydays. None of O’Rourke’s closest advisers made more than $200,000, and they brushed off pitches from a number of the go-to Democratic hands. Republicans were quick to jump on campaign finance reports that showed O’Rourke hiring some outside vendors, but the congressman and his campaign maintained that they were only relying on third parties where it was necessary. The aim, he insisted, was to avoid outsiders providing strategic advice designed to calibrate his message. But the unorthodox approach didn’t stop there. O’Rourke pledged to visit all 254 Texas counties, even as the vast majority of voters live in less than a dozen. He tapped a staffer to livestream on Facebook hours of his time on the campaign trail – not just speeches and town halls but also O’Rourke doing his laundry and skateboarding through a Whataburger parking lot. The goal was to introduce himself to Texans in a way that no candidate had ever tried. Slowly but surely, the crowds showing up at his events in virtually every corner of the state began to grow larger. Donations, most of them small but hundreds of thousands of them, began rolling in – with some supporters motivated in part by O’Rourke’s emphatic refusal to accept money from PACs. Along the way, O’Rourke’s campaign grew to a scale few would have imagined from the outset. Wysong initially planned for a staff of 60 people. By Election Day, he had hired about 1,000. Heading into the final month, it became clear the campaigns were on different tracks when it came to a critical task: getting out the vote. O’Rourke was building a massive in-house operation, complete with hundreds of paid staff, tens of thousands of volunteers and over 700 “pop-up offices” across the state from which those volunteers could phone bank and organize block walks. Much like the beginning of his campaign, O’Rourke stopped in places that a more traditional campaign might have passed on in those final days, like east Fort Worth, where the novelty of a nationally prominent candidate stopping by was not lost on African-American voters. “He would feel or hear from people that he was visiting, ‘You haven’t been here,’ or ‘Not enough of this community is represented at your events,’ so we would try to make events more convenient to people that we were trying to attract,” Wysong said. O’Rourke spent the final stretch of the campaign making multiple stops a day – sometimes in parking lots and parks that had little overhead cost – with a bullhorn in hand. The early voting stops were nearly always within walking distance of a voting location. “We had to get a better bullhorn,” Wysong said. Cruz, meanwhile, also hit the road during the period — going on a bus tour through Election Day — but had no comparable get-out-the-vote effort inside his campaign, and by all appearances, relied on the robust turnout machine created by another statewide official, Gov. Greg Abbott. Cruz even embraced the dynamic in the race’s closing days, using a Texas Tribune article about it as a rallying cry. In the days after an election, those connected in any way to the losing side can often turn into a circular firing squad, quick to throw blame and I-told-you-so’s at others. Yet Tuesday night and throughout Wednesday, prominent Democrats around the state were unenthusiastic — even privately — to criticize the O’Rourke campaign’s execution. There were minor suggestions on how to improve on statewide campaigns in the future – that perhaps the 254-county strategy was misguided, that more needed to be done to appeal to Latino men, that O’Rourke should have hit Cruz sooner and harder. But for the first time in a long time, Democrats in Texas were at peace about their most recent election. There is also a sense across the state that something in the electorate may have shifted over the course of this race. Still, there is fear among some Democrats that they may not be able to recapture the momentum and build on these gains without O’Rourke leading the charge, particularly with the added hurdle of the elimination of straight-ticket voting starting in 2020. When else could the stars align in this way — with a president who so motivated his opposition’s base, when so many talented candidates stepped forward to run down-ballot, and when someone with the star power of O’Rourke could lead the charge? “If they can’t win yesterday, I don’t know when they win,” concurred Rob Jesmer, a longtime adviser to U.S. Sen. John Cornyn, R-Texas, and the former executive director of the Republican Senate campaign arm. Other Republicans are not so confident. Under the hood, the damage was significant. There are no urban counties left in the state that support Republicans, thanks to O’Rourke winning there. The down-ballot situation in neighboring Dallas County was an electoral massacre, as was the situation in Harris County. Nervous Republicans also see the largest warning sign of all, beyond the frightening election returns in the cities: The Democrats now have a Texas farm team. But can they do anything without a charismatic standard-bearer like O’Rourke? And will he run again? Like I said, read the whole thing. This one is going to be studied by political science types for years to come, either as a critical turning point or a massive missed opportunity. For me, I would say that the next Beto-wannabe should have access to a pollster, if only to know where they stand as the campaign goes along, and I would argue that while the idea of visiting all 254 counties is nice, some counties are more important than others. Job One for 2020 is building on what we accomplished this year, and that means enabling more growth in the places where Dems took big steps forward, and fostering it in the places where we’re still in the first stages of it. The smaller metro areas out in west Texas – Lubbock showed some real growth, for example, but places like Abilene and San Angelo still have a long way to go – and the fast-growing counties around San Antonio – we really need to step it up in Comal County – should be priorities. We also need to reckon with how we’re going to fund the next Beto, because not everyone is going to have the national spotlight like Beto. We need to develop grassroots fundraising capacity, which the Congressional candidates tapped into much more successfully than the other statewide candidates did. I think this year we finally realized that we actually do have the recipe for success, but we haven’t quite figured out how to put it all together. We’re closer than we’ve ever been, but we can’t take anything for granted. Let’s learn from this and make it better next time. Someone has to run against Big John Cornyn in 2020. I feel reasonably confident we can get someone higher up on the political food chain than David Alameel this time around. Here are my thoughts as to who that might be. I’m going to evaluate the prospects by three Cs: Charisma, contrast (with Cornyn), and cash (as in, ability to raise it). 1. Beto O’Rourke – I don’t need to explain or justify this one, right? I have no idea what Beto wants to do next – let’s give the man a few peaceful days with his family before we start bugging him about that, please – but I think we can all agree that if he expresses interest in trying again in 2020, no one will stand in his way. He probably has the best chance to win, too. Why he might not run: Well, for one thing, there are a lot of people right now who think he’d make a pretty good Presidential candidate. I refuse to think about that right now, but we know there are some other Dems out there who think the same thing about themselves, so that’s a much less clear path forward. Nonetheless, if he has any interest in such a thing, he’ll have no trouble putting together a team for it. Basically, all options are open to Beto, including the option where he finds a nice steady well-paying job in the private sector. 2. Rep. Joaquin Castro – We all remember that Castro was thinking about running for Senate in 2018, right? He’s still a rising star in his own right as well as a young politician with ambitions, and it would be no surprise if he’s looked at the results from this year and concluded he could do at least as well. If Beto is out, then Castro is clearly next in line. Like Beto, if he wants it – and Beto doesn’t – I suspect the field would be clear for him. Why he might not run: He’s also still someone who has a path to a leadership position in the House, and now that he’s in the majority, that looks a lot more appealing. Castro is the one person on my list who has something to lose if he runs. He’s got a safe seat and is gaining seniority. If he just keeps running for re-election, he’ll wind up accumulating a lot of power, with basically no risk. He may be ambitious, but he has more than one way to express that. 3. MJ Hegar – Probably the most charismatic of the Democratic Congressional candidates, and everything about her stands in bright contrast to the buttoned-up Mr. 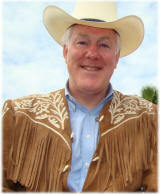 Establishment career politician Cornyn. She did pretty well in the fundraising department, too, and came about as close to winning as Beto did in a district that was about as Republican as the state as a whole. If she’s up for a similar political challenge on a bigger stage, she’d be a good fit. Why she might not run: Like Beto, she might just be done with politics and want to go back to her nice private life. She too could do anything she wanted to at this point. Like everyone else who ran this cycle, she’s not a new face any more and thus won’t necessarily get the breathless profiles written about her that she did this time, and you can only ever release an ad like her now-iconic “Doors” ad once. That said, if Beto’s out and Castro stays put, she’s my first choice. 4. Justin Nelson, and 5. Kim Olson – Grouping these two together, as the best-performing statewide candidates from this year that I can see taking a shot at this race. I love Mike Collier, but I don’t get the sense that the Senate might interest him, and he provides the least contrast to Cornyn. Nelson did a decent job raising money and has the kind of attack mentality that would be needed, but as a white guy who went to an Ivy League law school there’s not much contrast with Cornyn. Olson has grade A charisma and would provide the contrast, but is unproven as a fundraiser. They both know what it takes to run statewide, and they both came close to winning. Why they might not run: Either would have to answer questions about how they’d plan to raise the gazillion dollars they’d need in a Presidential year against a moneybags like Cornyn. While they’ve both run statewide, they got to draft behind Beto most of the time. Despite having run statewide, they’re probably the two least known candidates on this list, and they haven’t had the experience of running a big, well-funded campaign. 6. 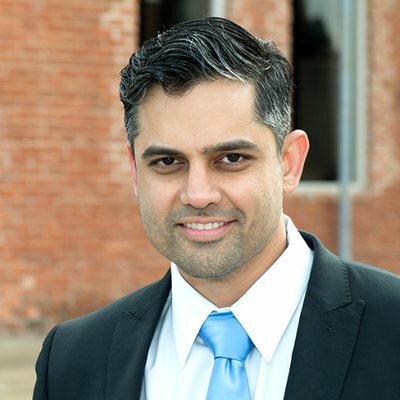 Sri Kulkarni – Very similar in profile to MJ Hegar, and though it took longer for the national press to notice him, he did garner his share of positive coverage for how he ran his campaign, and he turned a race that wasn’t on anyone’s radar a year ago into a close contest. Why he might not run: Again, basically the same as Hegar, and you can’t discount the potential for racism and xenophobia as he campaigns around the state. Who needs that in their lives? 7. Someone who didn’t run for something in 2018 and whom we know nothing about right now – If we’ve learned anything from the 2018 election cycle, it’s that there are a lot of compelling and potentially successful candidates out there among the teeming millions of people who have never even considered running for office before. The candidate pool is as big as it’s ever been, too, with so many “first fill-in-the-blank” people getting elected this year. Who’s to say that the next rising star won’t come out of nowhere? That’s what I’ve got. What do you think? Across the country, many public defender’s offices are overwhelmed with cases. But the public defenders in Harris County’s juvenile division are in an unusual situation: They say that they aren’t getting assigned enough cases. And advocates say cronyism between private attorneys and powerful judges is to blame. 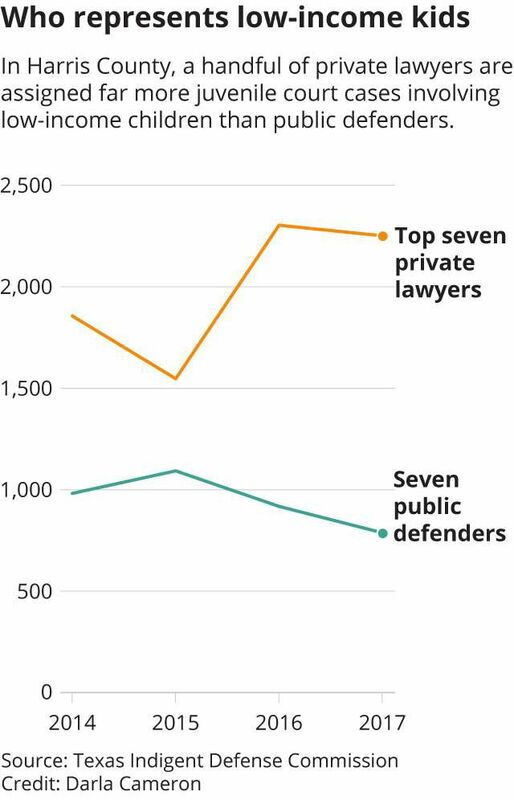 An analysis of state and county data by The Texas Tribune shows that the county’s three juvenile district courts — led by Republican Judges Glenn Devlin, John Phillips, and Michael Schneider — have been assigning an extraordinary number of cases to a handful of private lawyers. Meanwhile, the public defender’s office — which handles everything from probation violations to serious felonies and has strict caseload limits — has been receiving fewer assignments from those same courts. A state-funded study found that a lawyer could reasonably handle at most 230 juvenile cases in a given year — and that’s only for minor cases, like misdemeanors or probation violations. Lawyers who also handle serious felonies could effectively manage a much smaller caseload, the study said. But several private lawyers are taking on far more than that in Harris County, thanks mostly to appointments from the juvenile courts, according to data from the Texas Indigent Defense Commission. Those courts are also appointing the same lawyers to dozens of family court cases, where the same judges preside over child custody disputes, protective orders and decisions for kids in foster care. Houston attorney Oliver Sprott took on 377 juvenile cases in the previous fiscal year, along with 126 family court cases and some probate cases. That work brought his total haul in taxpayer money for the year to about $520,000, data from the county auditor’s office shows. Harris County paid attorney Bonnie Fitch about $350,000 last year for her work on 300 court-appointed juvenile cases, 71 family court cases and some probate work. Fitch is also a municipal court judge in the small city of Arcola, about 25 miles south of Houston. Attorney Gary Polland earned about $515,000 for his court-appointed work in 227 juvenile cases, three juvenile appellate cases, more than 100 family court cases, and probate court cases. He also does civil and commercial litigation, according to his web site. Norman Lefstein, a professor at Indiana University’s McKinney School of Law, called such caseloads “ridiculous.” He added: “It’s a joke. It’s just a joke … It tells me immediately that you’re not really investigating the cases, and you’re not doing what you need to do … and young clients especially, they just don’t know any better.” Lefstein is considered a nationwide expert on acceptable caseloads. Jay Jenkins, a lawyer with the reform-minded advocacy group the Texas Criminal Justice Coalition, said Harris County judges and lawyers have long been part of a “pay-to-play system” in which lawyers contribute to judge’s campaigns in exchange for appointments, or they help judges politically in other ways. Sprott has donated $6,250 to Schneider’s re-election efforts since 2014, campaign finance records show, and Fitch gave him $3,500. Sprott has given Devlin $7,500 in the same time frame. Attorney Mark Castillo has given Schneider and Devlin a combined $7,250 since 2014. He earned nearly $300,000 for his work in 360 juvenile cases in their courts last year, and some additional family court cases. He declined to comment for this story. Polland has given Schneider and Devlin $1,000 each since 2014. He also edits an influential local political newsletter called the Texas Conservative Review, which recently endorsed Devlin, Schneider and Phillips for re-election. Polland has also donated $2,500 to a new local political action committee called Citizens for a Quality Judiciary that has mailed out flyers encouraging voters to support local Republican incumbent judges: “It is too risky to hand over our courthouse to unqualified Democratic judicial candidates,” the flyer says. 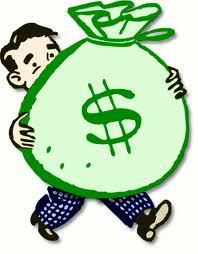 The PAC has also received donations from many other local lawyers who receive a large number of court appointments. “What we ultimately got was a juvenile system where the lawyers get rich … and everybody wins but the kids,” Jenkins said. There’s a simple fix for this. Vote those judges out, and the pipeline to these opportunists dries up. If you didn’t vote early, don’t miss out on Tuesday. With a string of polls showing GOP Sen. Ted Cruz’s lead slipping, Texas Lt. Gov. Dan Patrick showed up in Washington on July 25 to deliver an urgent plea to White House officials: Send President Donald Trump. Patrick, who chaired Trump’s 2016 campaign in the state, made the case that a Trump visit was needed to boost turnout for Cruz and the rest of the Texas Republican ticket. The lieutenant governor soon got his wish: Trump announced on Twitter late last month that he was planning a blowout October rally for Cruz, his former GOP rival. The previously unreported meeting comes as senior Republicans grow increasingly concerned about the senator’s prospects in the reliably red state, with some expressing fear that an underperformance could threaten GOP candidates running further down the ballot. Cruz’s Democratic opponent, Rep. Beto O’Rourke, has raised barrels of cash, closed the polling gap and emerged as a cause célèbre of liberals nationwide. Trump’s rally is just the most public display of a Republican cavalry rushing to the senator’s aid. Cruz remains a favorite to win another term, and some senior GOP figures insist the concern is overblown. Yet the party — which has had a fraught relationship with the anti-establishment Texas senator over the years — is suddenly leaving little to chance. Behind the scenes, the White House, party leaders and a collection of conservative outside groups have begun plotting out a full-fledged effort to bolster Cruz. Texas Sen. John Cornyn, who’s planning an October fundraiser for Cruz at Washington’s Capital Grille restaurant, said he had a simple directive to GOP givers. So at the time that Danno made his pilgrimage, Cruz had a solid if unspectacular lead in the publicly available polls. Since then, he’s had a much narrower, albeit still consistent, lead. On the (I hope) reasonable assumption that Patrick is not clairvoyant, it makes one wonder what he and his cronies were seeing in the polls back then that made them so worried. I mean, it could just be an abundance of caution, though that’s wildly inconsistent with Texas Republicans’ public braggadocio about their own prowess and the supposed conservatism of the state’s electorate. Since when do Texas GOPers need help from the outside to win elections? Especially in a year where the national party has about a thousand endangered Congressional seats to protect, not to mention a non-trivial number of governors, and they’d much rather be spending money to oust Democratic Senators, asking for the spigot to be tapped in support of Ted Cruz sure seems like a lot. Unless, of course, their own data at the time was sounding an alarm for them, not just for Cruz but for however many downballot Republicans that could get left exposed by a low tide for the junior Senator. And if that was the case for them then – and maybe it was and maybe it wasn’t, we just don’t know – then what is is saying now? Maybe the public data has caught up to where their own data was, and maybe things have shifted further. Again, we don’t know. That doesn’t stop us from speculating, as we wait for the next batch of poll results. My point here is simply to highlight that Republicans are aware of the political environment they’re in. It’s on us to prove they were right to be so concerned. Slate has more. I don’t sweat this too much, but there are a couple of points to address. With the 2018 midterms less than three months away, Cattanach and other Texas Democrats are facing an issue that’s not uncommon for candidates lower on the ballot: getting noticed when the name at the top of the ballot is getting the most attention. What stands out this year, many candidates and operatives say, is the level of excitement O’Rourke is generating among the party’s base, a situation that has led to the U.S. Senate race dominating attention this summer — over virtually every other race on the ballot. Despite the fanfare surrounding O’Rourke’s run, the race remains Cruz’s to lose. Texas hasn’t elected a Democrat statewide in nearly 25 years. Cruz won his Senate seat in 2012 by 16 points. Yet lower on the ballot, Democrats see races where a win is far more likely — if only they can get out of O’Rourke’s shadow. But, as former Austin-based Democratic consultant Harold Cook points out, the only thing worse than having a popular name at the top of the ticket is not having one. Even some Republicans consultants think down-ballot candidates have reason to worry about the focus on O’Rourke’s campaign against Cruz. “So if I was a Democrat, I’d be saying, “I’m a state House candidate. I’ve got a shot to win. This race is competitive and if I just had $50,000 of what O’Rourke got, I can probably win this thing,” he added. Once again I find myself in agreement with Brandon Steinhauser. We do need to be giving more money to State House candidates. There are some very winnable races that lack sufficient funding. To some degree that’s on the candidates themselves, but for sure there’s a lot less oxygen in the room for them after Beto and the top-tier Congressionals. We are all banking on the assumption that Beto and anger about Trump will help bring out Democratic voters who don’t normally vote in elections like this one, and that will help raise the tide for everyone. But that tide can always be made a little higher in a given locality, and there’s no substitute for ensuring that voters know who you are and what you’re running for. That said, this is mostly an issue on the margins, and the existence of the enthusiasm for Beto is by far the biggest asset to everyone’s campaign. There’s also time to raise more money to help fund mailers and the like, and as noted in the story a lot of these candidates are getting spillover benefits from Beto. I can tell you that every candidate I’ve interviewed so far has spoken of the positive effects of his campaign. If you want to know what you can do right now to help Democratic candidates win, there are two main answers: Help register voters, and give some of your time, talent, and/or treasure to legislative and county candidates, or your local county coordinated campaign. A little of that will go a long way. The weird order to the reports is due to the idiosyncratic way that one accesses HCC finance reports – basically, things are sorted in alphabetical order by first name, so that’s how I prepared this. Sorry, even I have limits. As was the case with the HISD reports, there hasn’t been much fundraising activity for HCC, which isn’t that surprising given that there usually isn’t that much fundraising activity even when there are elections coming up. The main thing you need to know is that 2019 is the year we get the chance to rid ourselves of the stain that is Dave Wilson. Zeph Capo and Neeta Sane will also be on the ballot, but the race that matters is in District 2. Wilson spends his own money on his political endeavors, so pay no attention to his Raised and On Hand totals. Just be prepared to support his eventual opponent (hopefully there will be just one), and never forget this lesson in Why Every Election Matters.